The San Antonio Spurs will be without forward Kawhi Leonard for the next 3-4 weeks because of a non-displaced fracture in his right hand, the team announced on Thursday. 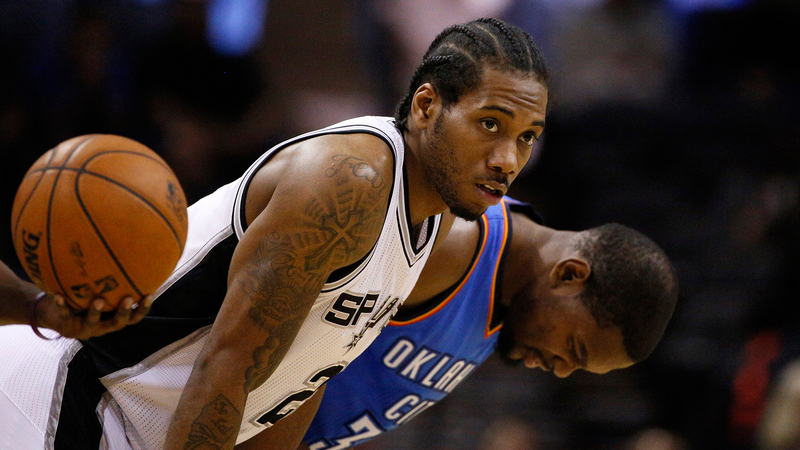 Leonard left with the injury late in the first half of San Antonio’s loss to Oklahoma City on Wednesday night. The Spurs said Leonard underwent a CAT scan on Thursday which confirmed the fracture. "It’s tough. We’re dropping like flies right now," Tim Duncan said after the loss to the Thunder. "Losing Kawhi was huge, especially in a game like tonight." Leonard is one of the Spurs’ top defensive players. He’s averaging 11.6 points, 6.1 rebounds and 0.5 blocks per game this season. "(Losing Leonard) is a big loss for us," Tony Parker said. "We are already down Tiago and Danny, but everyone goes through injuries and we have to deal with it. Other guys are going to have to step up, but we just have to keep playing."